TeamViewer will allow our support staff member to see what you see on your computer on theirs, remotely, while on the phone with you. This will make it easier for you to explain your difficulty or problem with the software. It will make it faster for our staff to understand you, your problem, and quickly address any concerns for you: All of this while both of you are sitting comfortably at your seat and computer. This software is safe and no information will be available to our staff other than the immediate issues you are having with our product. 1. After clicking the link to download, please allow the software to download, and then double-click on the file to run it. 2. Click Run if a Security Warning prompt opens. 3. 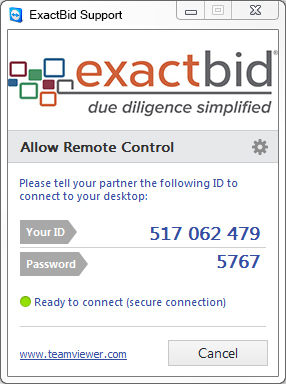 After the program has opened, inform your Narrative1 Support Agent of the 9 digit ID number associated with your TeamViewer session. 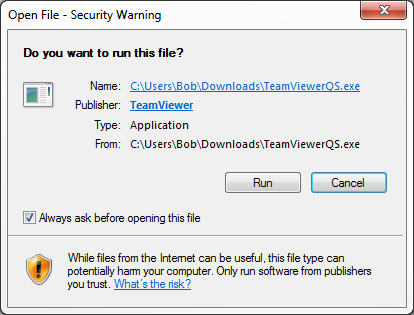 For more information on this software, please visit the TeamViewer website.